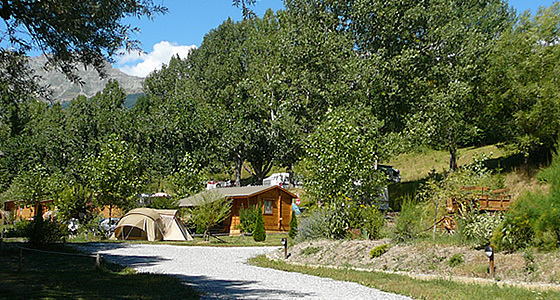 Located at 300 m from the village of Chorges, near the lake of Serre-Ponçon, the camping site of La Valière, provides you its spacious and shaded places, the toilets have been done up recently, you will enjoy this place which offers a family. 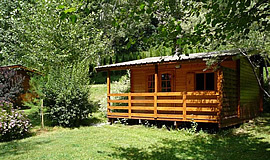 We also offer rent of chalets. 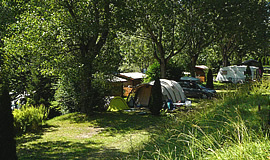 For each camping place you can benefit of shade of nice trees. You will enjoy the peaceful and relaxing environement. You will enjoy quiet holidays !!! From June 15th to August 31st, for adults and childrens. Height of the pool 110 / 130. Padding pool for childrens. Opened between 12PM and 7PM. Bermuda shorts and pair of shorts are forbidden. New European standards. Only for customers. Enjoy your holidays : Take care of you, relax with aquaerobic lessons (all levels) with a professionnal.